Do you dream of being that person that brags about only washing their hair once a week? For some of us, even washing hair every other day can seem like a stretch! There are many factors that play into how much sebum (AKA hair grease) your scalp produces. 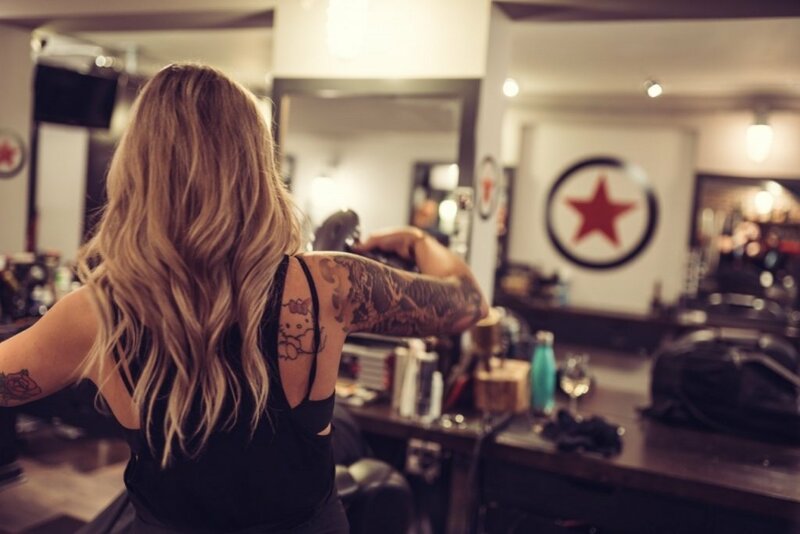 If you’re struggling with greasy hair, keep reading for a few tips and tricks from our Kelowna Hairdressers to keep your hair feeling fresh and clean for as long as possible! Why is my Hair Greasy all the Time? First, you may be wondering your hair is so greasy in the first place. Typically, your hair porosity, density, texture, and a myriad of other personal factors combine to determine how much oil your scalp produces. Those with gorgeous, thick, coarse hair with tight curls and coils naturally experience less oil production. Those with beautiful, looser curly hair experience a moderate amount of oil production. And lastly, those with smooth, wavy to straight hair typically experience the most oil production. Have you ever noticed your hair is less greasy if you’ve curled it? This is no coincidence! How greasy your hair becomes also correlates with how straight or curly your hair is. Oils will have an easier time transferring down a straight hair shaft than one that’s curly. However, keeping oil under control isn’t strictly determined by how curly or straight your hair is. There are a number of ways you can keep excess oil at bay! We recommend the following. That’s right. It may seem counter-intuitive, but washing your hair less can actually help with oil production! Washing your hair every day may trick your scalp into thinking there’s a lack of oil, causing it to produce even more oil! It may be a difficult transition for a month or two until your scalp realizes it doesn’t need to produce as much oil. But once it does, you’ll likely be enjoying second and possibly even third-day hair! To help through the transition period (and even after!) we recommend spritzing your hair with dry shampoo to absorb excess oil. If you’re looking for a more cost-effective solution, you can even try applying baby powder to your roots. Adding too much conditioner to all your hair can weigh it down, causing excess grease. This is especially true if your scalp is already overproducing oils! It likely doesn’t need the extra moisture. We recommend keeping your conditioner focused between the mid to bottom sections of your hair – keeping the extra moisture where it belongs. We also recommend opting for a clear, clarifying shampoos instead of creamy shampoos which tend to have more moisturizing properties. Our Kelowna hairdressers also recommend going light on the styling products! While you may need a little extra hair spray or mouse to perfect that updo, remember that many styling products can contribute to the buildup of excess hair oils. Once you’ve washed your hair, as tempting as it may be, we suggest not touching it! This means avoiding your roots with your hairbrush, and not touching it or running your fingers through it so the oils don’t transfer down your hair. It may seem like a simple tip, but it can make a huge difference! The phrase may be colloquial, but when it comes to your scalp’s oil production it couldn’t be truer! Carbohydrates and processed foods can contribute to how much oil your sebaceous glands produce. We recommend avoiding consuming fried foods, sugar, and refined carbohydrates to keep a good balance of oil production in your hair. Lastly, if you’re struggling with oily hair, we recommend experimenting with some updos to hide greasy roots. If you haven’t already, check out our previous post on Quick Hairstyles for Busy Mornings. Putting your hair in an updo can hide greasy roots, and the extra ‘grit’ in your hair can help it stay in place. 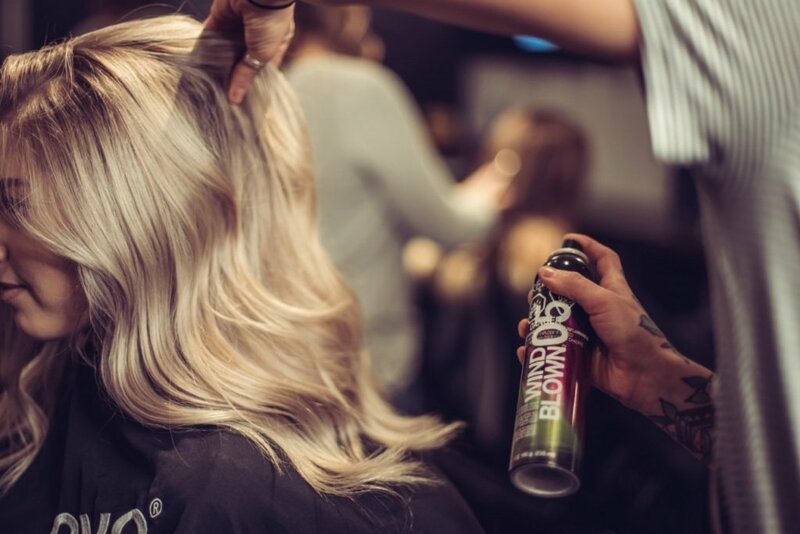 At PlanB, our Kelowna hairdressers and barbers are on a mission to end bad hair days. If you have more questions about how to keep your hair looking fresh, contact us today! Our team of hairstylists and barbers would be happy to help you find the right cut and styling methods to help you achieve your best hair. We look forward to seeing you at your next appointment!